Salt for the preservation of food is an historical trade good and often very expensive. Soy sauce quite possibly was a way to derive more benefit from a smaller amount of salt. Some sources say that soy sauce was introduced into Japan in the 7th century by Buddhist monks. In Japan soy sauce is called shoyu. Over the centuries the humble brining agent recipe has been emended and adapted and has become a flavoring ingredient in its own right. In Japan regional varieties developed and are available in assortment official grades and qualities. That makes for a dizzying array of about fifty distinct soy-based sauces available in Japan. You may use your own personal favorite for this recipe. It should be noted that shoyu chicken is not unlike teriyaki chicken that uses a sweetened soy sauce. I guess the basic difference is that you are making your own version of a sweetened sauce instead of a prepared on. 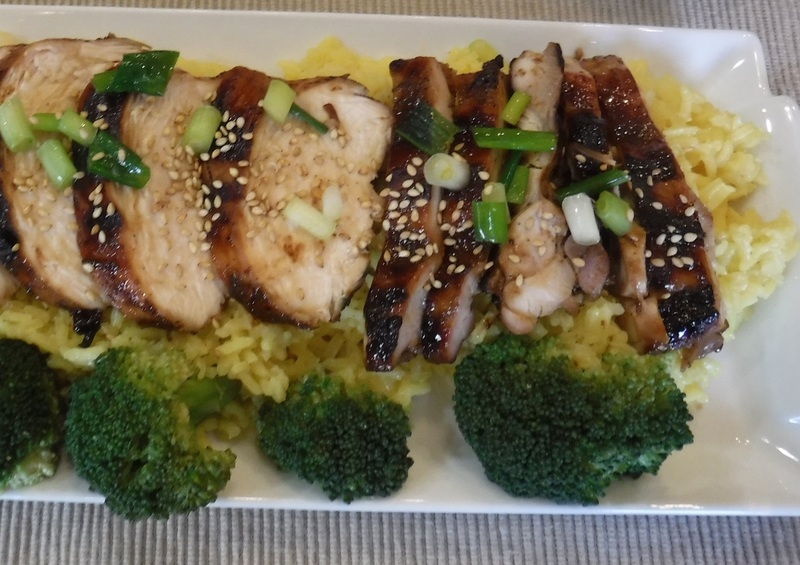 Shoyu chicken has become a popular dish in areas with large Japanese populations such as Hawaii and frequently shoyu chicken adopts Polynesian trappings. 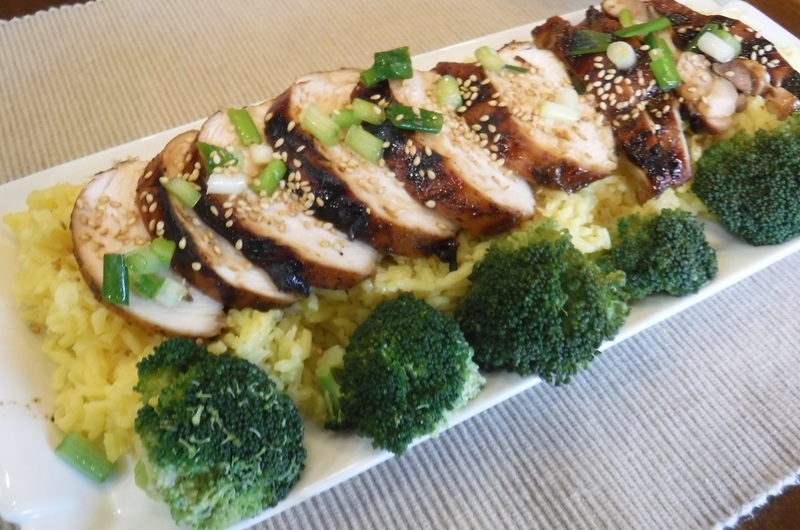 Preferably on the evening before cooking, place all of the ingredients except for the chicken, the reserved scallions for garnish and the sesame seeds in a bowl and whisk to mix thoroughly. Place the chicken pieces into a large food storage bag with a closure. Add the marinade. Gently squeeze the sides of the bag to expel the air and seal the bag. Gently knead the bag to coat all of the chicken pieces with the marinade. Place in the refrigerator overnight, turning and gently kneading two or three times during the evening. 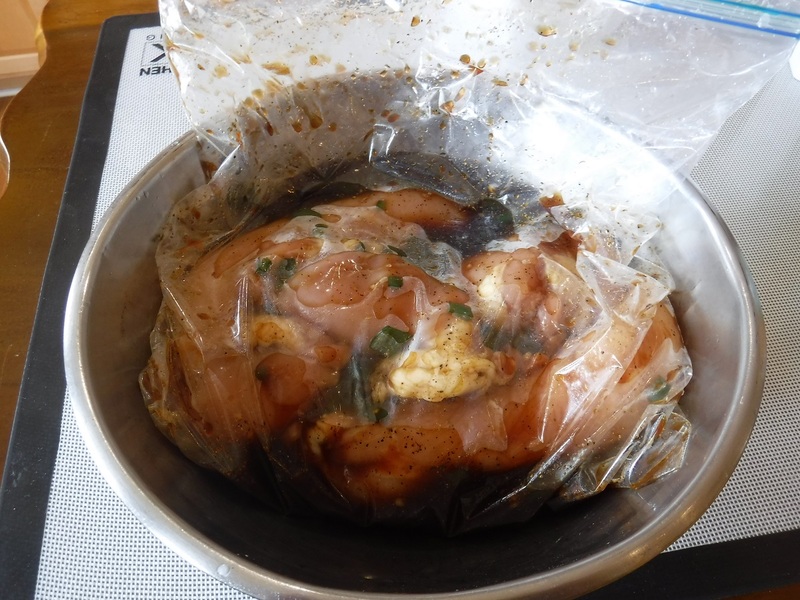 About an hour before grilling, remove the chicken pieces from the marinade letting them drain a bit back into the bag. Place the chicken pieces on a platter and cover with plastic wrap. 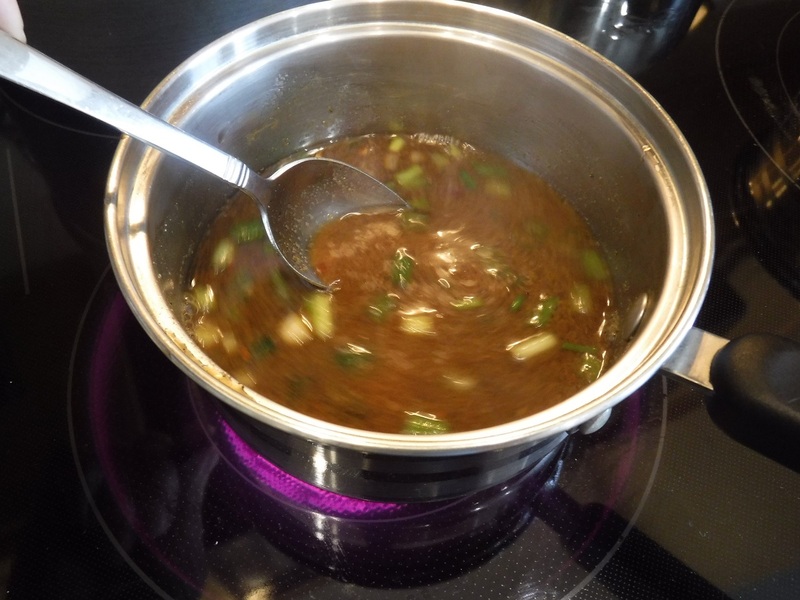 Pour the marinade liquid into a small saucepan and heat to a boil. Reduce heat and simmer while stirring until thickened. Remove from heat and set aside. Preheat grill. Place the chicken pieces, presentation side up, on the grill. Brush the top surface with the reserved marinade. 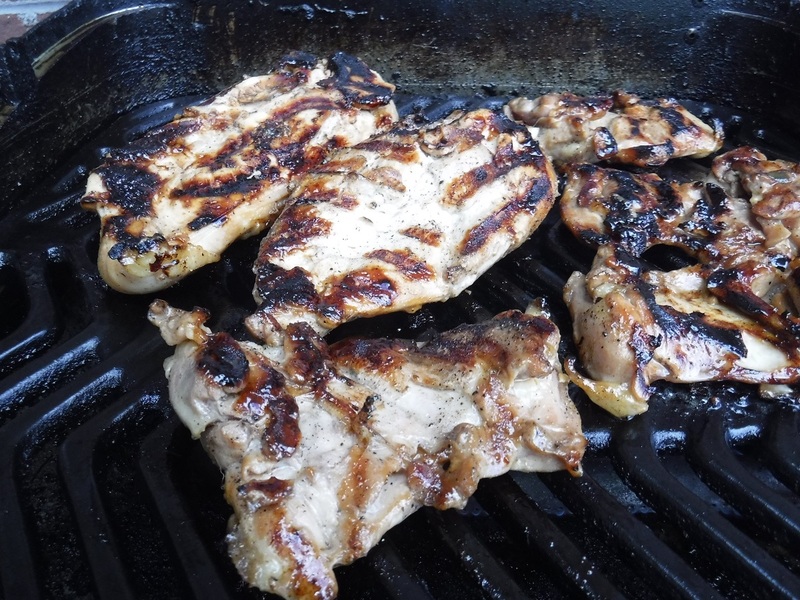 Grill over medium indirect heat (indirect if possible – the sugar in the marinade will burn easily). The target temperature is 170°F; about four minutes per side. Turn the chicken and brush the pieces with the marinade sauce. Grill an additional 4 minutes. 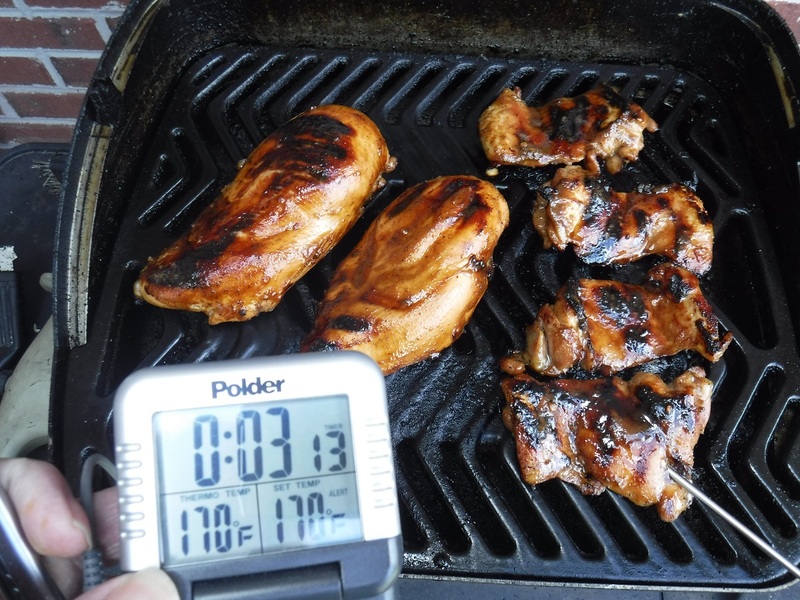 Check temperature with an instant-read thermometer. 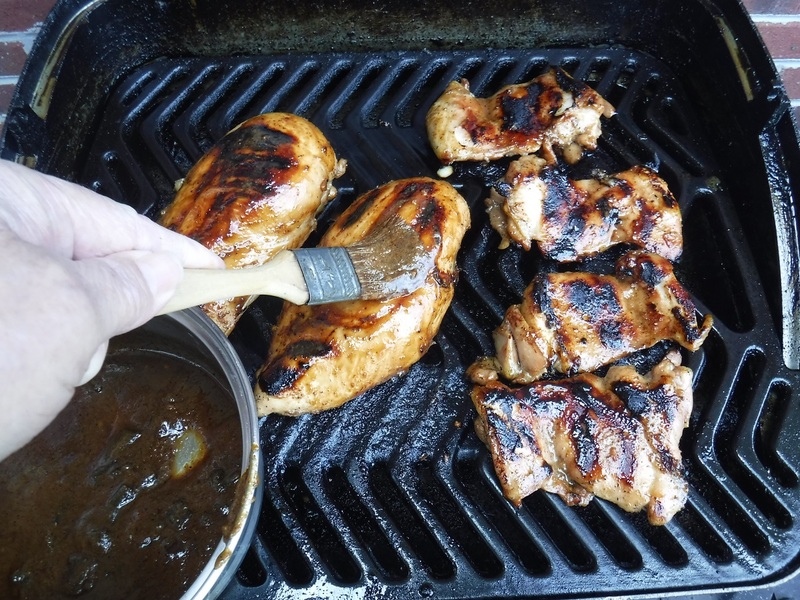 When the chicken is cooked through, turn once more and brush with the marinade for a glossy finish. Grill one additional minute and remove to a platter and cover with foil to keep warm. Let stand for about five minutes before slicing. 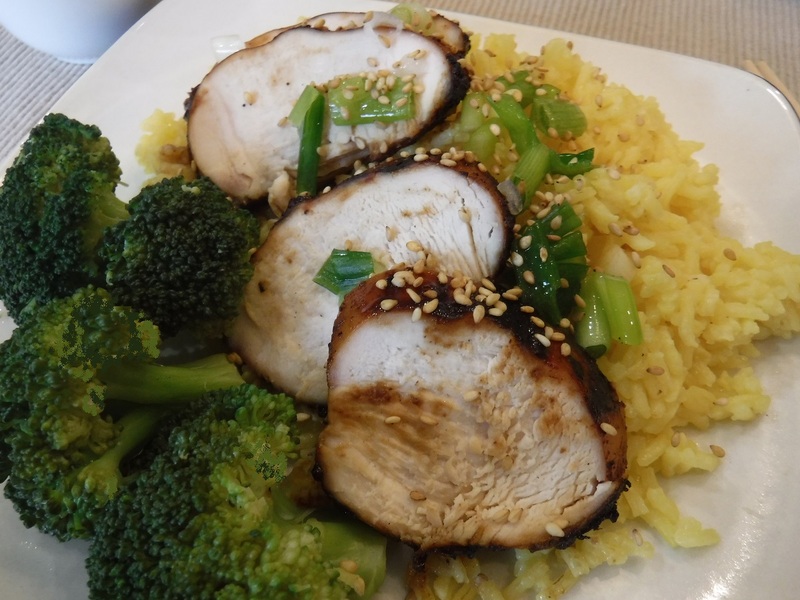 Cut chicken at an angle across the grain. Arrange the slices on the serving platter. Garnish with the scallions and sesame seeds.